Bringing construction of pools wall and water features into the twenty-first century. We bring creative yet functional solutions to any project. No project to big or small. We offer a range of products for the construction of swimming pools and spas. 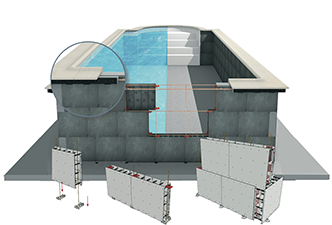 “We are pleased to be the sole UK importers for the SolidPool system, a unique pantented system for the construction of swimming pools, spas and water features.